Hong Kong Airport Transfers - What are my options? Taxi, Bus, Private Car, Airport Shuttle? Hong Kong Airport Transfers like all transportation options in Hong Kong are easy and convenient. What is best for you will depend of course on your preference, budget and also the number of people travelling together. 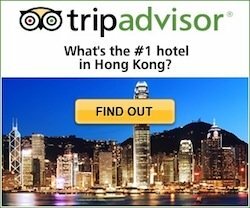 So what are the options once you arrive in Hong Kong? 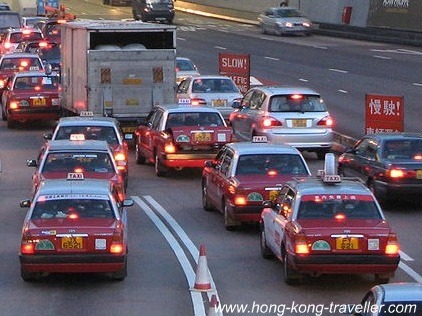 Once you arrive in Hong Kong, there are many options for your airport transfer into the city. The alternatives range from the very economical buses to the over-the-top (literally) helicopter rides straight to the helipads on top of the Peninsula Hotel. So here we tell you about the different ways of Hong Kong Airport Transfers into the city, pick what's right for you and your wallet and start exploring! Hong Kong Airport Transfers, What's Your Preference? These are some of the best discounts for Airport Transfers offering convenience and substantial savings. 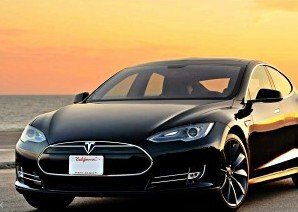 The Tesla and Van transfer prices are per vehicle and particularly advantageous if you are travelling with a group. Beware that some hotels advertise a "free airport shuttle", but what they mean is this free shuttle from the Airport Express station to the hotel, you still have to buy a ticket to get to/from the airport to the station, either Hong Kong Station or Kowloon Station. One Way Ticket Prices for the Airport Express per adult are HK 100 for Central and HK 90 for Kowloon. There are discounts for round trip and children tickets, as well as promotional offers for group ticket prices. At about US$12 per person, it is a fast, convenient and economical way to get into the city and one of the most popular options. Here's more on the Hong Kong Airport Express, buying tickets, passes, discounts. There is a separate charge per piece of luggage of HK 5 which is not always enforced. If there are 3-4 people in your group, consider a taxi as an alternative to the Airport Express or the Airport Shuttle buses (below). 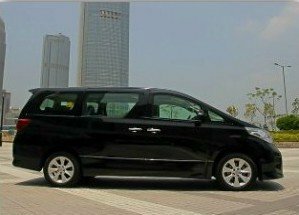 Even with a promotional Group fare for the Express, a taxi might be a better option since you bypass the extra step of having to get to/from the Airport Express station. As you come out the Arrivals Hall, head to the official Taxi stands right outside. They will be lining up in separate lanes according to the areas they service, look for the Red taxi lane if you are heading into Hong Kong Island or Kowloon. At the Arrivals Hall, beware of the people offering "you want taxi? ", before you can blink, they will be carting your bag and taking you to their "taxis" which are nothing more than overpriced private car services you can expect to pay 3 to 4 times more for. If confronted by one of these, just firmly say no and continue to the official taxi stand. Getting to and from the Airport on the City's double-decker buses is the most economical option. 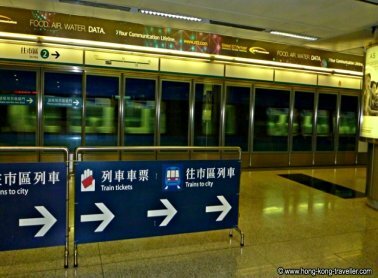 A ride from Central to the Airport is only HK 40, about US$5, although a lengthier ride because of all the stops in between, it is certainly the best alternative for those on a budget. 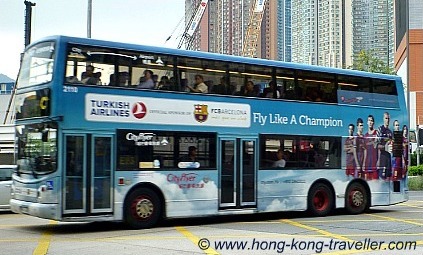 You want to take the CityFlyer Airbuses. These are more convenient for travellers, with spacious luggage racks and monitors which announce every stop along the way. The A routes are more direct and take you to all the main areas in Kowloon and Hong Kong. Buses depart every 20 minutes for most of the day. The External CityBus has limited luggage space and the routes take longer than the more direct A routes. They service the Airport Area and Tung Chung New Town, consequently with a longer route but convenient mostly for the airport staff that commutes every day. There are five main airport bus routes that will cover most of the travellers staying in Kowloon and Hong Kong: A10, A11, A12, A21, A22. You can look up your hotel in this list to determine which Line to take: Cityflyer AirBus Hotel Stops. You can pay using your Octopus Card, otherwise exact change will be needed. 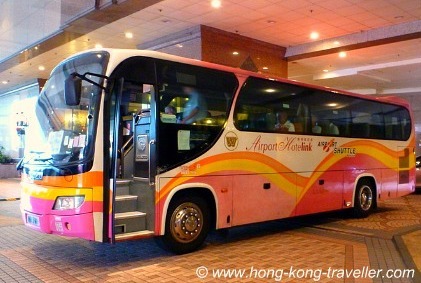 The Airport Hotelink Shuttle Buses offer door to door transport between the airport and major hotels in Hong Kong and Kowloon. They service over 100 hotels and depart every 30 minutes from the Airport to the hotels and every 30-60 minutes from the hotels to the Airport. 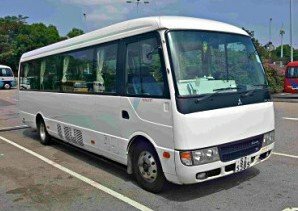 The Airport Hotelink Shuttle costs HK 140 (about US$18) for hotels in Central and HK 130 (about US$17) for hotels in Kowloon per single trip. Where do you buy the tickets? Where do you board? For the transfer from the hotel to the Airport you buy your ticket from the Hotel Concierge. You board the Shuttle Bus at the Coach Station in Terminal 2, this is only a 5-minute walk from Terminal 1. Discount Airport Shuttle tickets are available at Klook.com . One-Way tickets are HK 119 (about US$16), look in the "How to Use" section for list of participating hotels and arrival/departure times. This is by far the cheapest door to door service at about US$10 per passenger. They also service over 100 hotels but there are a few limitations. Drop offs at hotels in selected hotels in Tsim Sha Tsui, New Territories, Hong Kong Island. The following areas are NOT covered: Sheung Wan, Aberdeen, Tseung Kwan O, Shatin or Tuen Mun. Book your ticket online and redeem the voucher at counter A14 in the arrivals hall where a representative will direct you to the shuttle mini-bus. There are a number of companies that provide private vehicles ranging from small sedans to mini-vans for private transfers for individuals or groups. And what could be easier than having someone waiting for you with a sign with your name on it and a car waiting just to hop in and whisk you to your hotel. This is specially convenient if you are arriving late at night and don't want the hassle of arranging your own transport. How much are private transfers? Arrival transfers by private car from the airport start at only HK$395 - US$50 per vehicle for up to 3 people and can be booked online prior to your arrival. For those wanting hassle-free door-to-door service this is a great option. All add-on charges like tolls and lugagge are included and fares are flat rates unlike the taxis that can vary depending on traffic conditions. Rates are slightly less for departure transfers to the airport and slightly more for arrivals and departures past midnight. If you are travelling with a larger group (or have a lot of lugagge), Mini-Van transfers offer the best deal for groups of up to 6 people. Likewise, transfers include all tolls, luggage charges and other add-ons. These are flat rates per vehicle for up to 6 passengers. If you are travelling single, you can also arrange shared transfers i.e. a private mini-van shared with other guests for door to door service. Shared transfers start at about US$27 per person and can be booked through Viator. You can also pre-book your transfers to/from the Airport and the two cruise ports in Hong Kong at Ocean Terminal or the newer Kai Tak Terminal. If you are heading to mainland China, there are also private transfer services between Hong Kong Airport and Shenzhen, Guangzhou and other areas in Guangdong. This is certainly the most convenient way for cross-border travel as you avoid the long visa queues and identity checks are completed from the comfort of your seat. For any private transfer booking you will need to provide your flight details and someone will be waiting for you in the Arrivals area and bring you to your Hong Kong or Kowloon Hotel, the Port Terminal if you are boarding a cruise, or your destination in Shenzhen or Guangzhou. What is the state of UBER in Hong Kong? At the moment, it is still a very fluid situation in Hong Kong, where as in many other places, it is facing regulatory hurdles and at this time still fighting for legal status for its driving partners. Crackdowns on drivers are still happening. As much as we love the convenience and transparency, this is something to take into account when requesting an UBER in Hong Kong. More info on how to request Uber at Hong Kong International Airport and Fare Calculator. Heliservices HK offers Helicopter Transfers from the Hong Kong Airport to the roof-top helipads at the Peninsula Hotel in Kowloon or the Wanchai Government Heliport in Hong Kong Island. The 10-minute ride will set you back HK16,000, but it's likely to be the highlight of your trip. Helicopters accomodate a maximum of 5 guests. Or how about getting picked up at the Airport on a Rolls Royce Phantom for the ultimate ride into the city? You can arrange that thorough the Peninsula Hotel, who themselves own a fleet of 14 of them. The one-way trip costs HK1,500. For more information on the Helicopter Transfers or to arrange a Rolls Royce pick up contact the Peninsula Hotel.